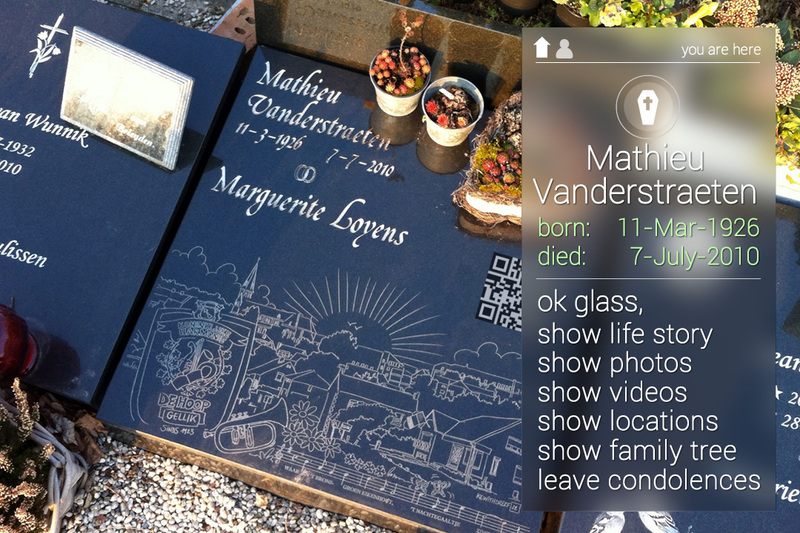 Imagine that you look at your grandfather’s tombstone with Google Glass and are referred via QR code to his Google+ profile, with his biography, his pictures (Google+ Photos), the locations where he lived (Google Maps) , his favorite places (Google Local), his club life and companies where he has worked (via links and fan pages), his friends, videos and other data. It would even be possible to leave a personal message per group of contacts (family, friends, relations...) by using Google+ Circles. Everyone can offer their condolences on the bulletin board. 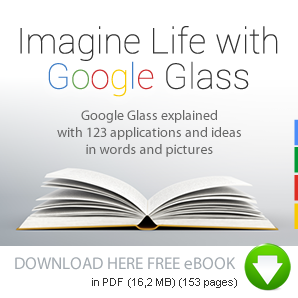 Scanning a QR code is already possible with Google Now, after the integration of Google Goggles. Everyone is writing their own history.